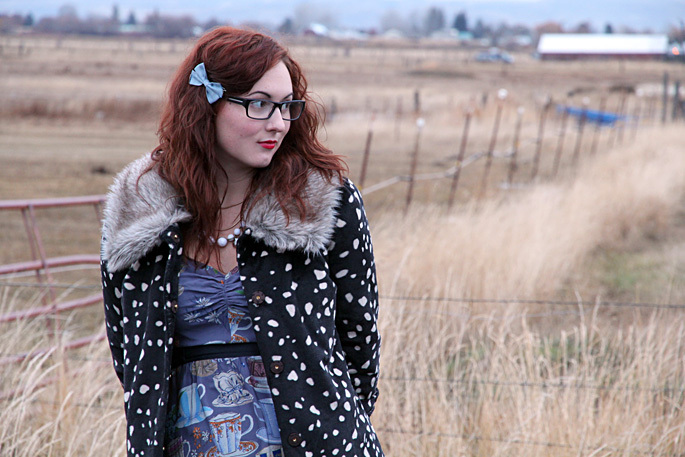 Dress, Coat, Cardigan: Anthropologie. Bow: H&M. Tights: J Crew. Shoes: Pour la Victoire. Gloves: Vintage. 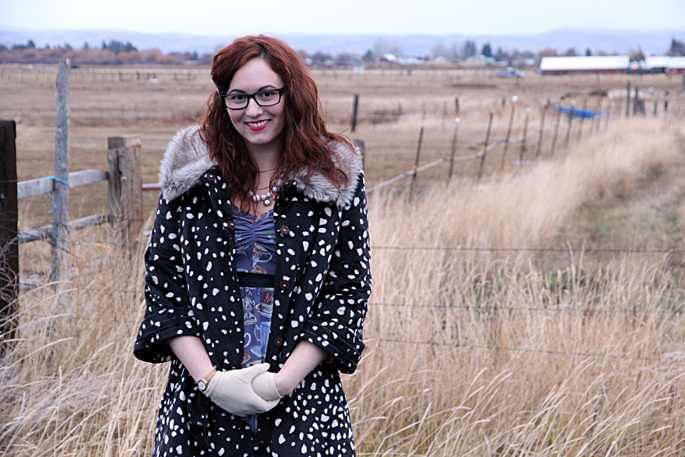 Well, all of the snow melted here in Washington, so I was able to venture outside in something other than boots. Luckily it was just in time for today’s style challenge with Meghan, Krystal, and Kellen. This week we decided to get out our fancy flats… which I admit is a bit easier for me than the other girls. Being 5’11”, I actually wear flats pretty often in order to avoid the ‘Amazon Woman’ stares. Well, that’s enough about me… you should head on over to Meghan, Krystal, and Kellen‘s blogs to see how they did with our style challenge this week!